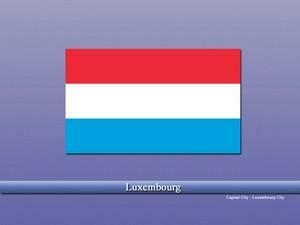 Luxembourg, authentically the “Grand Duchy of Luxembourg” is a small but one of the crucial European country. The country possesses unique cultural heritage and is one of the founding member United Nations, NATO, and Organization of Economic Cooperation. The history of the regions, what is now modern Luxembourg dates back to at least Paleolithic age but no recorded or written history of that era could be found. Only estimations can be made by the ancient elements found in the region. The known history of the country starts from the 10th century AD. Middle ages of the region saw various rules and dynasties. Eventually, the country was captured by Napoleon Bonaparte and remained part of its empire till its defeat. During the World Wars, Luxembourg was twice captured by the German armies. After the Second World War ended, Luxembourg eliminated its “neutral” status and became part of the “NATO” to defend and further invasions. Luxembourg is a landlocked country and is bordered by other European countries of Germany towards the East, Belgium towards the West and North, while France lies toward its South. The country is one of the favorite tourist hotspots featuring lush green valleys, old Palaces, Medieval castles, forts, historical towns, and beautiful villages. The country has a service dominated economy and is ranked as one of the best economies in the world. It also leads in human development, has low inflation and very few jobless people. Being a member of the European Union also gives the country a great advantage. 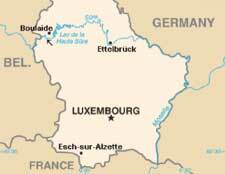 Luxembourgish, French, and German are the official languages of the country. Christianity is the largest religion in the country followed by several other minority faiths. In which direction we should keep Mandir at home?